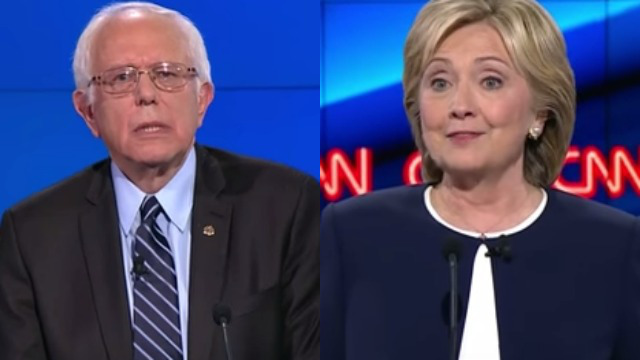 Sources from CNN to Common Dreams are discussing what might come up on tonight’s Democratic debate. This includes Clinton’s Wall Street ties and her support for fracking. CNN points out that it could get difficult for Clinton to continue to defend her role in Libya after Obama has called this the worst mistake of his presidency during a Fox interview. Obama also undermined Clinton’s foreign policy views in another recent interview in The Atlantic. Clinton will probably try to bring up the interview with The New York Daily News in which the interviewers botched the facts but managed to get the media to repeat their false claim that it was Sanders who had difficulties with the questions. Here are some other tips for watching the debate. Watch for when Hillary Clinton’s lips move. It means she is lying. Some of her top lies of the campaign are listed here. Also watch out if she gets to make the closing statement after Sanders. That is when she throws in lies which Bernie has no opportunity to defend himself against. Of course she might throw in lies earlier, and count on the moderators to shut down Bernie before he gets a chance to answer. Finally, under no circumstances let anyone turn watching the debate into a drinking game and make your drinking words “Wall Street” or “Top One Percent.” That could be fatal.